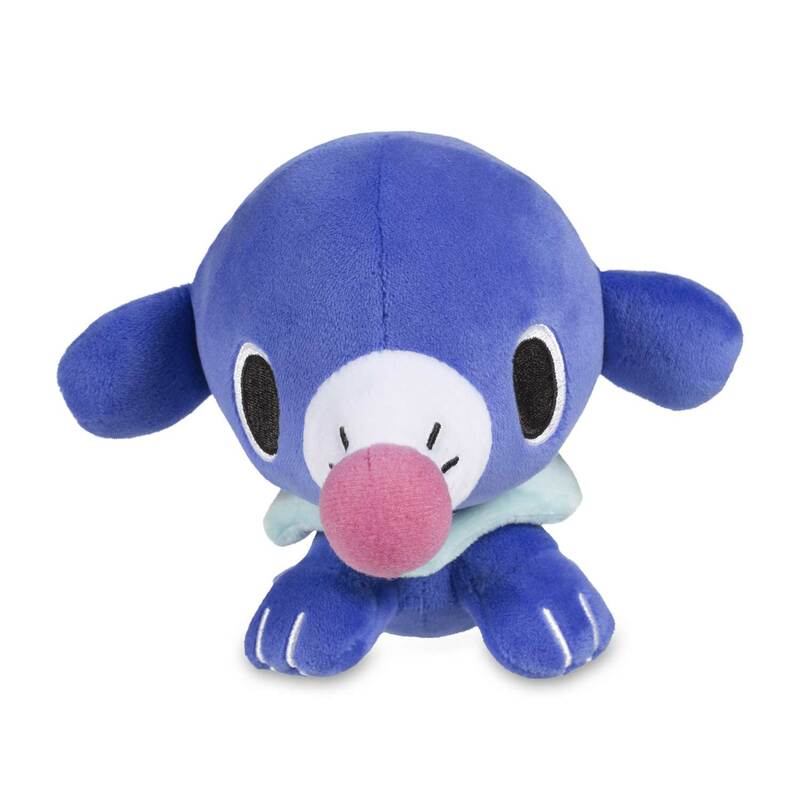 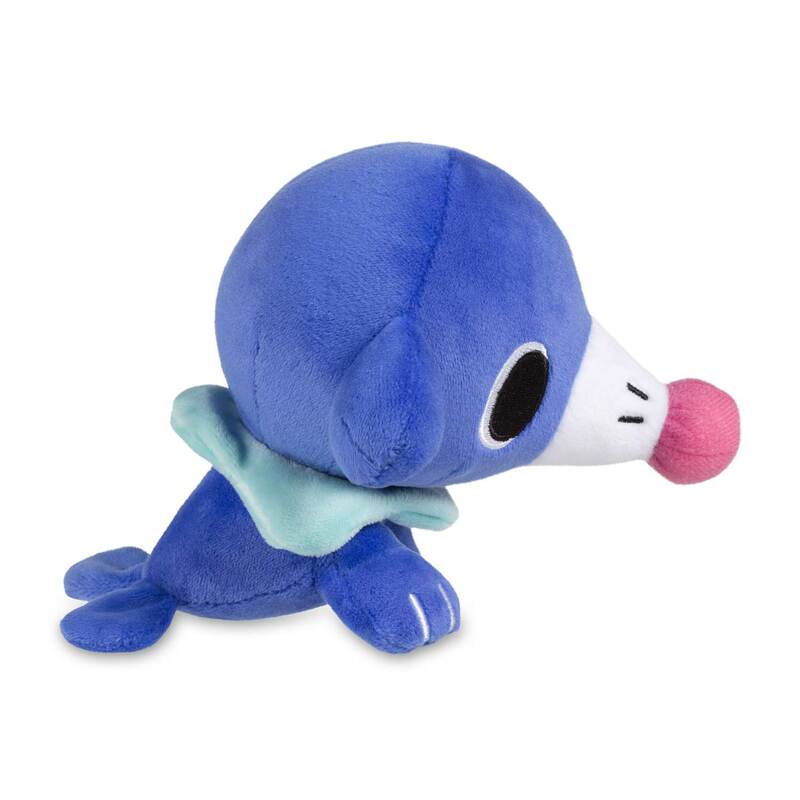 Very fine flippers help this Popplio Pokémon Dolls Plush stand easily—and it looks ready to play. 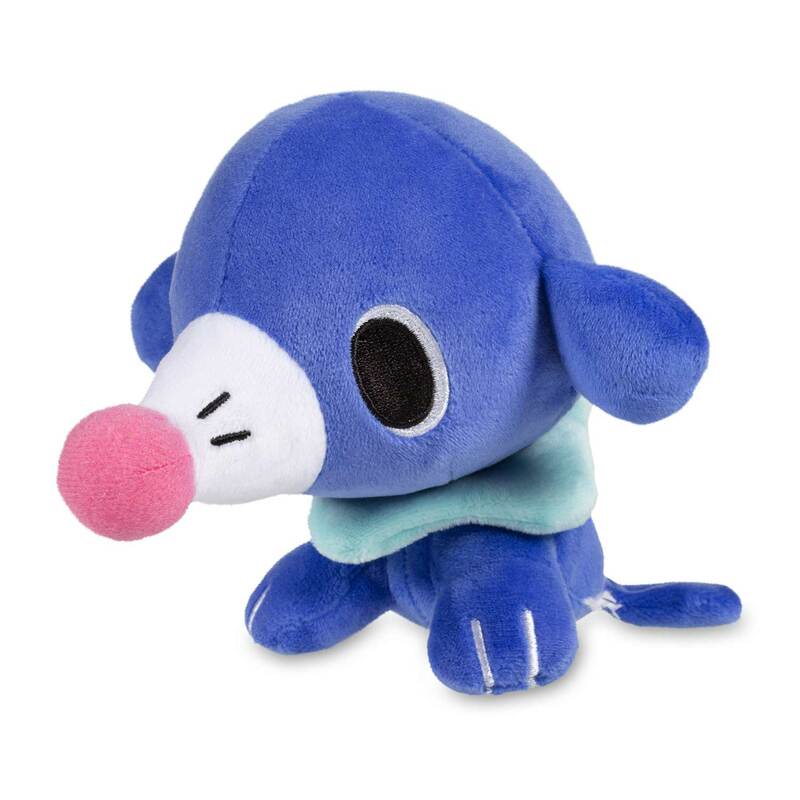 Embroidered eyes, whiskers, and mouth plus a pale blue ruff give it lots of charm—as does its pink nose! 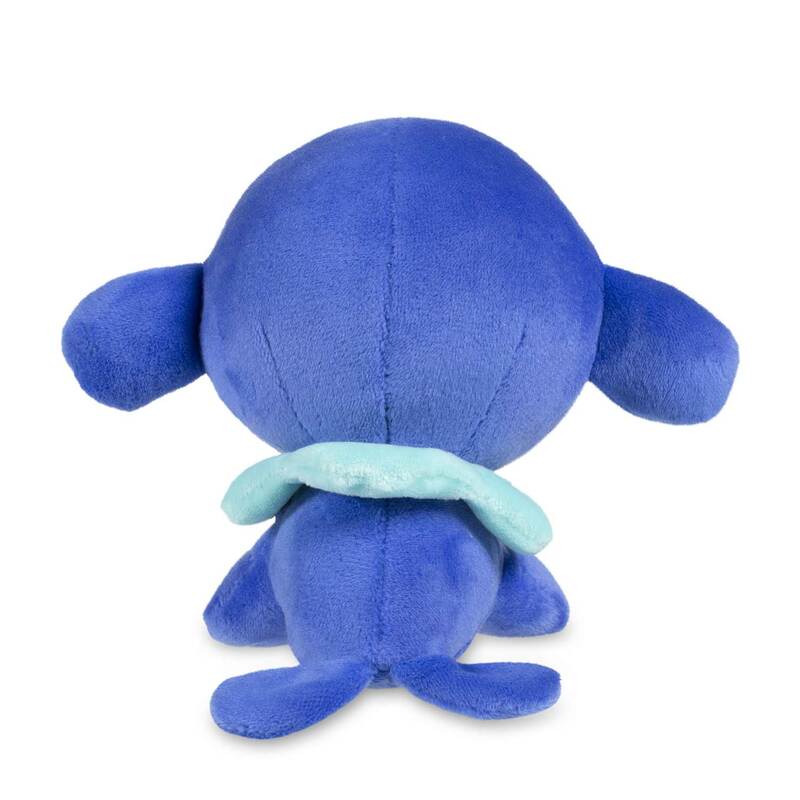 Show your love for the Water-type first partner Pokémon with this excellent plush.